I very rarely attend international brands events in Singapore. With my niche focus on independent designers, and the fact these brands have massive marketing machines and the whole blogosphere to promote them – I’m going to struggle to add anything of value if I cover them on this blog. However, last Friday I decided to break the rule and go to the UNIQLO UT pop up launch party which is part of a global pop up series by the brand, stopping in Tokyo, Taiwan, London and NYC among other cities around the world. 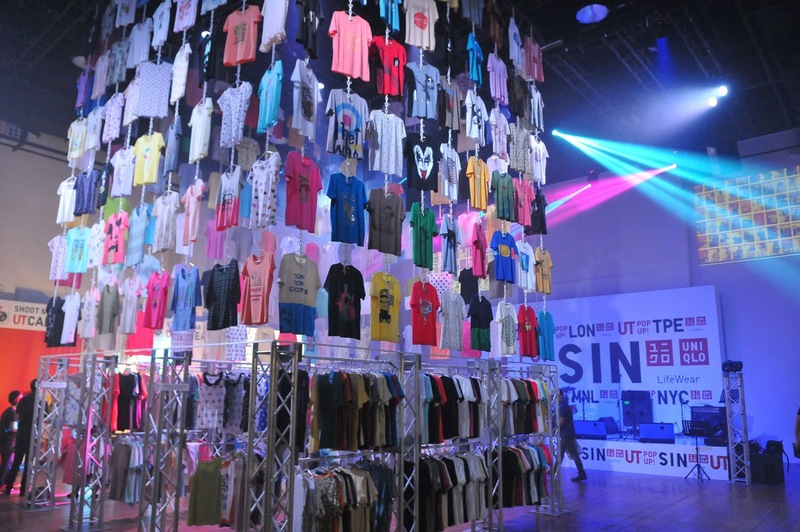 The UTs are a collection of t-shirts which are ‘used as media for modern expression inspired by pop culture and collaborations with companies worldwide’ which UNIQLO as started producing and will be running and changing on seasonal basis. 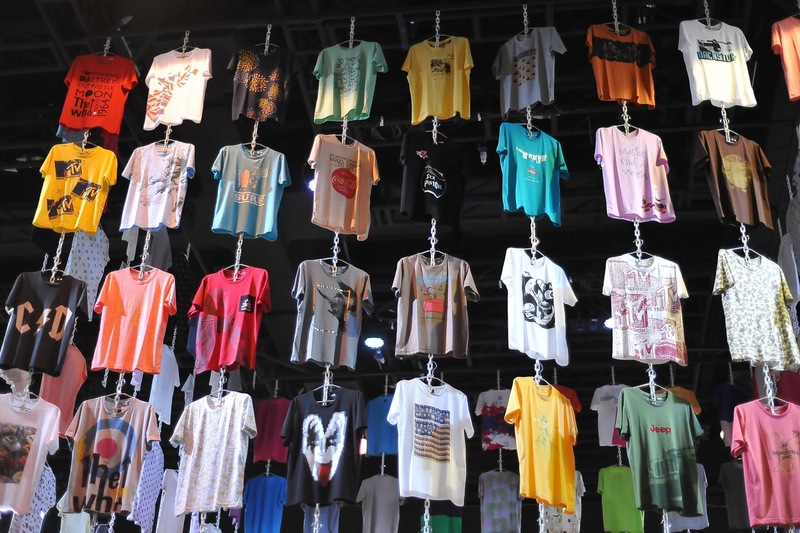 Apart from this interesting concept for UTs (who wouldn’t like the funky take on regular t-shirts? ), the reason I was interested was the fact they have collaborated with Noise Singapore - the local platform for emerging creative artists - to produce a range of t-shirts specifically for the local market. Moreover, the proceedings from these sales go to Transmission, an experimental incubatory platform organised by PHUNK - one of Singapore's leading creative collaboratives to mentor young people from various creative disciplines. Loved the display of flying tees at the event!!! 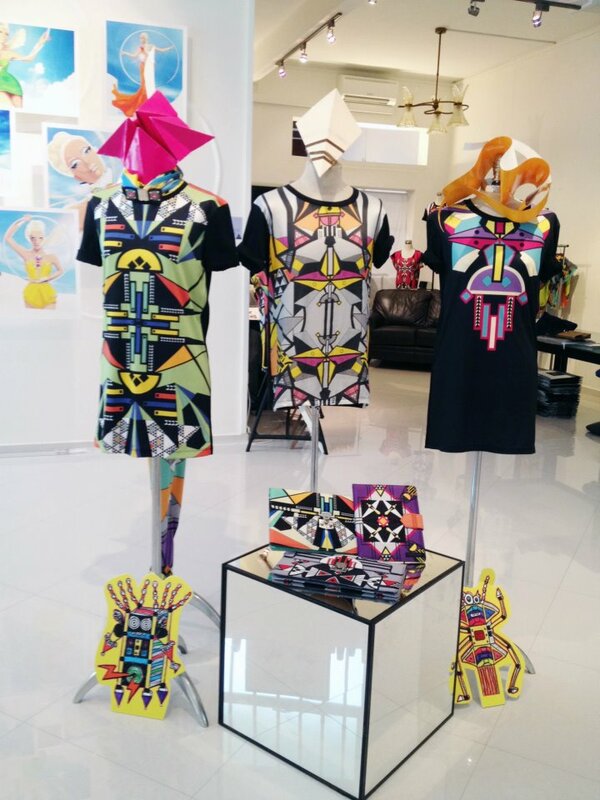 When young Singaporean designer Rayson Tan decides to have his first and highly anticipated pop up store you know one thing is for certain – there’s going to be a lot of colour. And the L’ILE AUX ASHBY pop-up store at the Glamour Inc. showroom in Tiong Bahru didn’t disappoint – bringing together an eclectic mix of clothes, accessories, artists, bloggers and stylists who seemed to love it loud. I was very proud to be asked to be a part of this event – especially when I saw the talent that was on display. This pop up wasn’t really about selling, it was more about fun. A showcase of talent and colour. It brought together so many creative disciplines, from art to illustration, from photography to nail art and of course fashion. The result was a fabulous mix, all inspired by the colourful and vibrant prints of L’ILE AUX ASHBY. Everything in the pop up shop was exploding with colour! Love it!